The recent communal violence in West Bengal is only part of the brew, a lot lies under the surface — the deadly poison brewing slowly on a low flame. Its a multiheaded hydra and goes by the name of Jamaat-ul-Mujahideen Bangladesh (JMB). The JMB and the Harkat-ul-Jihad-al-Islami (HUJIB) are two affiliates of Bangladesh’s JMB. According to a report by an Indian national daily in March 2017, 2016 witnessed an over threefold increase from 2015, in infiltration by terrorists into the border States of West Bengal, Assam and Tripura. The development assumes significance as the National Investigation Agency (NIA) has found overseas terror links and the direct role of the JMB in the October 2014 Burdwan blast at Khagragarh. The report said approximately 2,010 HUJIB and JMB operatives had entered the three States. While nearly 720 men made a safe passage through the West Bengal border, the remaining 1,290 are suspected to have entered through Assam and Tripura. Ajai Sahni, executive director, South Asia Terrorism Portal (SATP), revealed that the HUJIB used to be the most potent threat. It was used by the Inter-Services Intelligence (ISI) to target India. In recent times, with HUJIB losing prominence, the JMB has emerged as a major threat. The HUJIB was created with direct aid from Osama bin laden in 1992. The group has linkages with Pakistan-based terrorist groups such as Jaish-e-Mohammad (JeM) and lashkar-e-Tayyeba (leT). It also maintains very close links with the Pakistan’s ISI. Mufti Abdul Hannan, chief of the HUJIB, had spent six years in the Darul Uloom Deoband madrassa in Uttar Pradesh. Among the first incidents of the HUJIB’s operations in India to come into the limelight was the August 1999 arrest of four persons at Guwahati in Assam. There have been multiple arrests and discovery of the HUJIB and the JMB networks. Some of the terrorist incidents the HUJIB was involved in are — January 22, 2002, at the American Center in Kolkata, October 12, 2005 suicide bombing at the Special Task Force office of the Hyderabad Police; HUJIB in collaboration with the JeM and Students’ Islamic Movement of India carried out a terror attack at the Sankat Mochan Hanuman Temple and the railway station at Varanasi on March 7, 2006; blasts on October 29, 2005 in New Delhi in collaboration with the leT; December 28, 2005 attack at Indian Institute of Science by HUJIB-JeM combined group; February 13, 2010, Pune blast. Investigators into the July 13, 2011, Mumbai blasts, which killed 26 people, suspected the role of the HUJIB. Indian agencies believed that the suspected mastermind of the blasts, Abdullah Khan of the Indian Mujahideen (IM), was hiding in Bangladesh, under protection of HUJIB. Another key link between the HUJIB and the IM was identified as Jalaluddin Mullah alias Babu Bhai, a resident of South 24 Parganas district of the State of West Bengal. A July 12, 2011, media report had noted that a dossier prepared by the Intelligence Bureau (IB) indicated an increase in HUJIB activities in the recent past, after a significant decline since 2008. There had been a spurt in recruitment, with at least 150 youths from West Bengal going ‘missing’. It also indicated that these sleeper cells would first be set up in North India and later would expand into the South. Two persons were killed and another injured in a bomb explosion in a rented house at Khagragarh, under Burdwan Police Station, West Bengal, on October 2, 2014. Subsequently, it was revealed that these individuals and others present in the house believed to be members of JMB were engaged in preparation of bombs, ammunition/arms, maintaining hideouts and organising terrorist training camps in pursuance of a larger conspiracy to organise terrorist attacks in different parts of India and Bangladesh. The NIA took over the investigation of the blast case on October 10, 2014. Since then it has filed four supplementary chargesheets naming 30 persons as accused. At least five of them were Bangladeshis. Of the 30 accused persons, 20 have been arrested, another 10 are still absconding. Sohail, accused in the Khagragarh case and the Dhaka cafe attack, July 2016 case and the top explosives specialist of the JMB was arrested recently in Bangladesh. It is worth noting that Zakir Naik was banned in India only after Bangladesh banned him after last year’s Dhaka cafe terror attack. JMB had established organisational bases at certain districts of West Bengal viz Nadia, Burdwan, Murshidabad and Birbhum as well as in Sahebganj district of Jharkhand. These bases were used for organising radicalisation programmes, organisational meetings, fund collection meetings, hideouts for cadres and their families, etc. 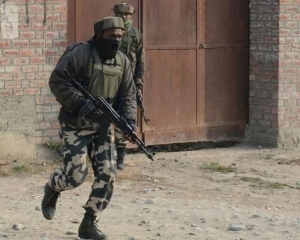 A network of terrorist training camps at selected madrassas and other hideouts were in operation where selected youths were indoctrinated into the violent jihadi ideology as well as training for violent actions through use of explosives and firearms. The evidence has established that starting from the year 2008, several Indian citizens became regular members of the JMB. The Trinamool Congress (TMC) has very often been accused of patronising the politics of religious fundamentalism. Biman Bose of the left Front had said that the TMC was shielding Islamic fundamentalists who have been rejected by Bangladesh. “When Bangladesh police operate in Satkhira and Jamaat-e-Islami cadres have to flee, they get shelter from the Trinamul Member of Parliament (MP) in Basirhat,” Biman Bose had alleged. Bose also made an allegation against Ahmed Hassan, aka Imran, the Pakistani citizen who became MP for TMC and said that he was close to the Jamaat and was a correspondent of the Jamaat newspaper, Daily Naya Diganta. He said that this was an attempt being made to disrupt a drive undertaken by Sheikh Hasina, Prime Minister of Bangladesh. Sheikh Fazlul Karim Selim, a Bangladeshi member of parliament and a member of the standing committee of Bangladesh Awami league party too had raised the same issue in 2014. He made a request to the West Bengal Chief Minister, Mamata Banerjee to hand over the JMB terrorists who had taken shelter in India. Selim had urged India not to harbour these terrorists, who he said fled to the neighbouring country during the joint forces’ operation in Satkhira. When Delwar Hossain Sayeedi of Jamaat-e-Islami party of Bangladesh was handed the death sentence for war crimes in Bangladesh liberation war, 1971, India witnessed a pro-war criminal rally. This wasn’t just any rally but one attended by more than one lakh people in the heart of Kolkata city. Similar rallies continued with the war crime trials of many Jamaat leaders which had been unprecedented in India. 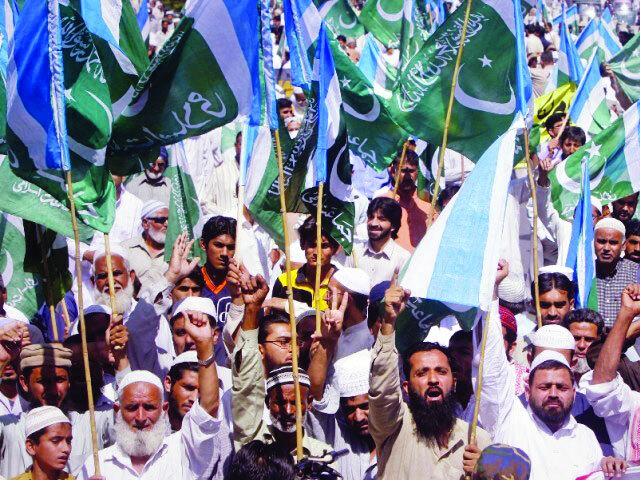 The rally was actively backed by Jamaat-e-Islami Hind, based in India. Due to Banerjee’s policies there is an increasing Hindu-Muslim communal tension that didn’t exist before. This year during the Hindu festival of Rath Yatra, the Jamaat tried to incite riots by talking about 2002 Godhra riots. Bangladesh security thwarted the attempt. They wanted to trigger cross-country riots in India and Bangladesh in coordination. It’s time the Jamaat are hunted down and handed over to Bangladesh before they become economicallyentrenched.